Sushi in a desert? Fresh fish with no ocean for thousands of miles around? Surely you’ve gotta be kidding? Well actually no, SLC is home to numerous sushi restaurants, some very good. Because the FDA requires fish to be frozen before served raw in all US states, this means shipping quality seafood to Utah is no issue. 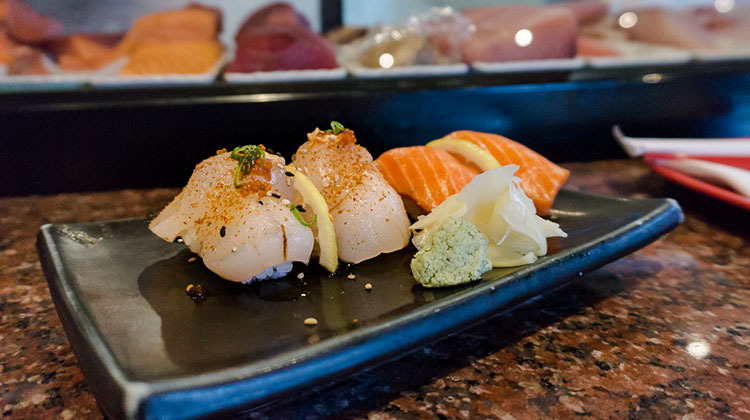 Indeed SLC international airport has direct links to Tokyo and several restaurants source directly from some of the best markets in the world!